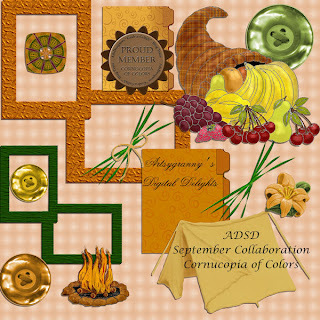 I have been busy this month working on a collaboration kit for Aspiring Digital Scrapbooking Designers (ADSD). With the first of September here, it is time for the unveiling of all the goodies the ladies have cooked up. 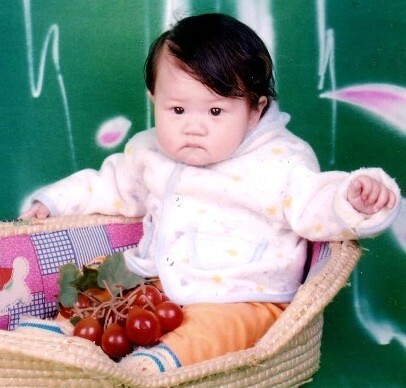 This is a preview of my contribution to the kit. Not all of the elements are shown in the preview. There are lots more, I just got tired of adding them to the preview sheet. LOL. Click on the preview to download it. Here is a listing of the other member's sites to pick up the rest of the collaboration. I hope you have lots of hard drive space! We have 56 participants, and the previews I have seen are simply amazing! Sorry, ladies, the link is fixed now. I love your part of this collab - thanks so much for sharing it! Thank you for your lovely contribution to the Cornucopia of Color. Hi, This is my first visit to your blog, my Sister told me about this wonderful collab kit from all you great gals. Thanks so much for sharing, I am off to check out the other parts. Oh what fun! Thank you so much for sharing your beautiful part of this awesome collaboration!! What a generous groups of designers you are - big thanks to all who took the time to participate! Thanks so much for your part of this great kit! 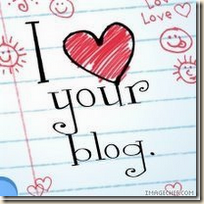 thanks for your wonderful contribution to the blog train, love your stuff. TY so much for your wonderful kit! Your papers are absolutely gorgeous! Thanks for sharing with us!